Where you go to school can have a huge effect on your salary. Grads of California Institute of Technology increased their earnings by 49%, on average, just by attending that school, according to a new study from the Brookings Institution. 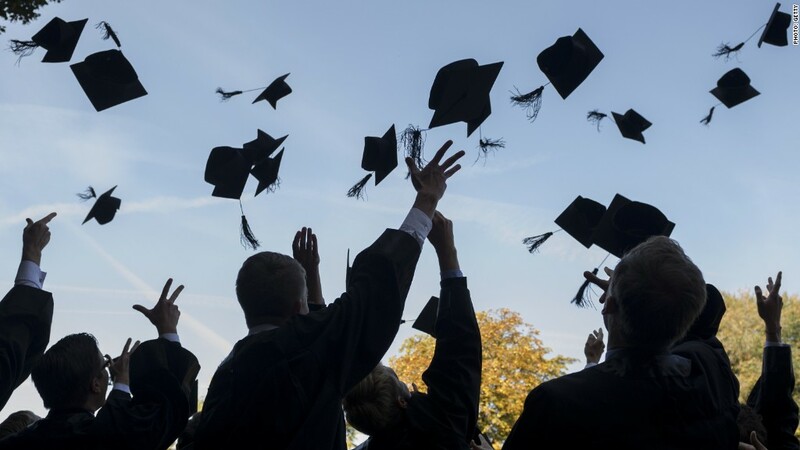 The average alumni made $126,200 a year at mid-career, compared with a projected salary of $77,129 if they had gone to another comparable institution. 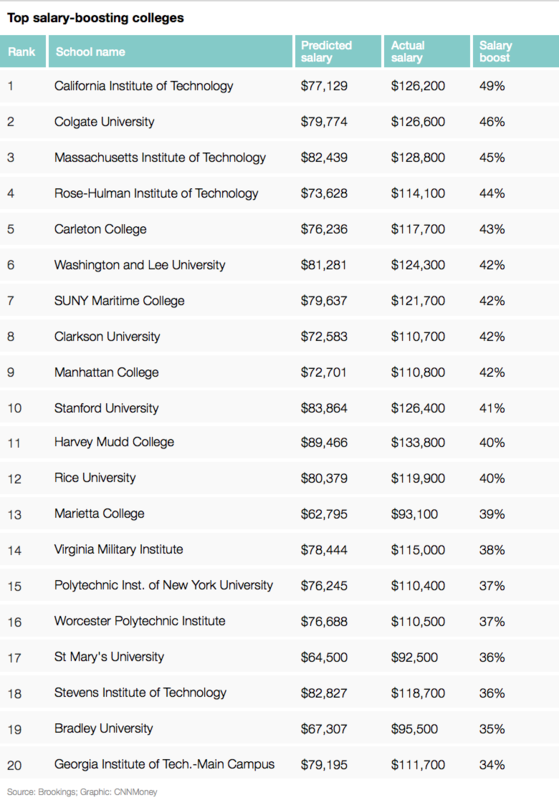 Colgate took the number two spot, followed by Massachusetts Institute of Technology. Brookings estimated how much a college directly contributed to alumni salaries by predicting what their earnings would be based on a college's institutional, student and locational characteristics, and comparing that to what alumni were actually making 10 years after graduating. These characteristics on which predicted salary are based include whether a college was in a big city with lots of job opportunities or a smaller town with fewer options and whether a school was a community college or research university. It also accounted for information based on student backgrounds, such as age, race, ethnicity, family income and academic preparation. The actual salary information comes from PayScale.